Something from my bar whenever I feel like it episode CLXVIIsteemCreated with Sketch. This one will probably make you want to grab a snack. 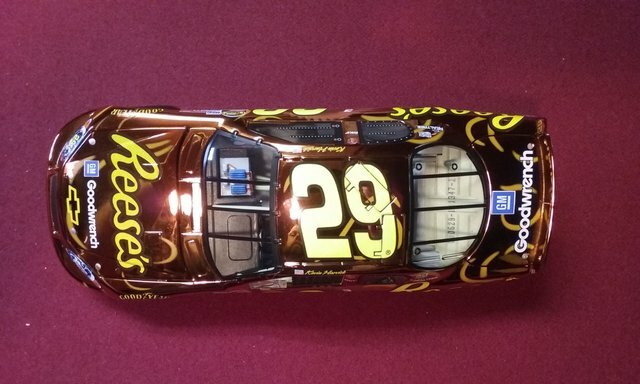 It's the number 29 car of Kevin Harvick. 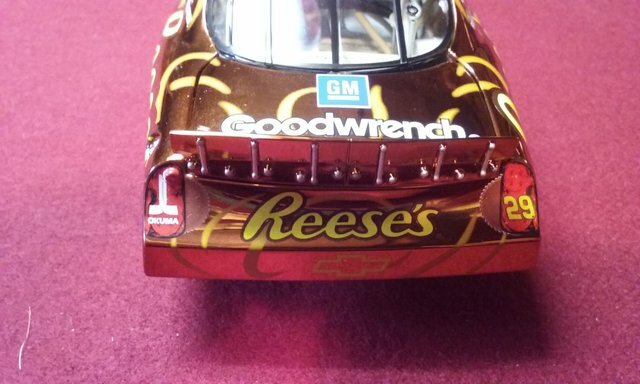 The car was sponsored by Reese's. 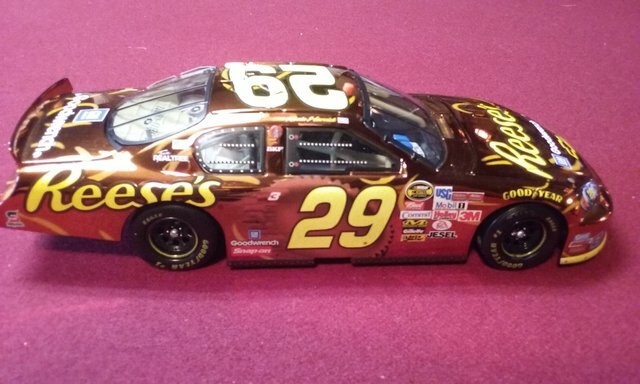 I'm not positive as the site with the car codes is down but I think this is a Busch series car from 2006. 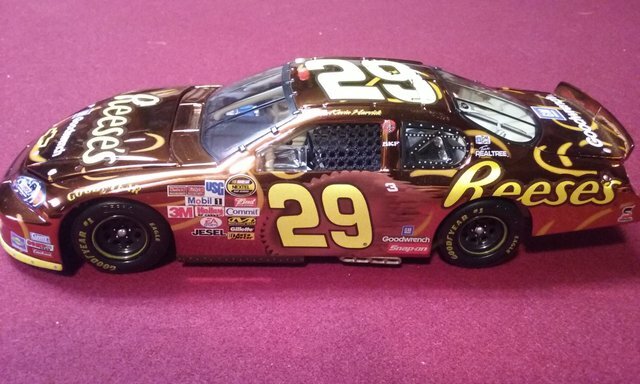 I can't even find another pic of this car to verify it. 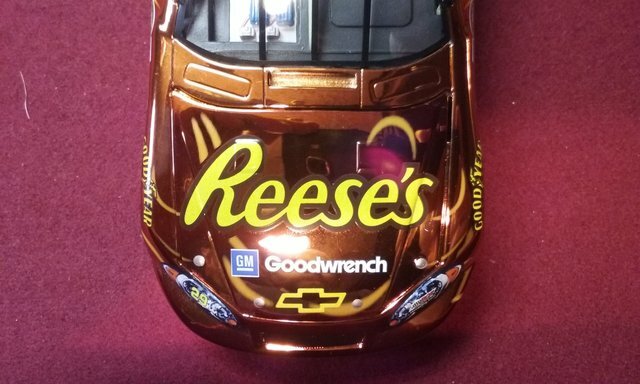 I did find a similar one but with a color chrome finish that is more of a peanut butter color. This one appears to be gold plated.